Learn how to teach and prepare practical pronunciation classes covering sounds and intonation. Teach Pronunciation! gives ESL teachers the toolbox to improve their learners’ speech through identifying pronunciation errors and their causes, and providing a structured approach to preparing group and individual pronunciation training. Sounds that block the flow of air. ʘ Consonant charts for place, type and voicing. ʘ Mouth diagrams for placement. ʘ English consonant sound system. ʘ Relevant sound details (diacritics) in English. ʘ Connected speech (elision, assimilation etc.). ʘ Common errors by language. We learn several drills for use with consonant sounds including rhythm drills, minimal pair drills and the standard IPA drill. We categorise different consonant sound lessons in terms of production, sound selection and connected speech and we prepare an example class. Sounds that shape the flow of air. ʘ Vowel grids for mapping position. ʘ Tongue, lip and jaw placement. ʘ Vowel length, reduced vowels and voicing. ʘ Vowel spelling to sound relationship. We try different approaches to presenting the English vowel system in class, comparing systems grouped by length to those organised by position. We learn how to correct a learner’s mouth position. We practise mouth warm up activities and drills. We use nonsense words as a teaching tool. We try different ways of presenting vowel sound selection with activities and games. Emphasising syllables within words and sentences. ʘ Physical aspects of stress: pitch, volume, length. ʘ Chunking speech into tone units. ʘ The structure of the English tone unit. ʘ 5 levels of English stress. ʘ Stress time vs syllable time. We learn ways to drill stress through using clapping, raps and singing. We prepare classes on word and sentence stress, and look at how to put stress into any free practice language activity. Melody and movement in pitch. ʘ How patterns work in tone units. ʘ Usage: meaning vs attitude. ʘ Usage: different areas of speech. ʘ Intonation in different English accents. ʘ Common problems by language. We explore different approaches to presenting intonation in controlled and free practice activities. We learn ways to avoid the many pitfalls of discussing intonation by steering learners towards a practical and intuitive approach. We prepare lessons on intonation patterns in specific areas of speech (questions, exclamations, tag questions etc.). Teach Pronunciation is available as a 4 day group course in London, and as an individual course in London or online via Skype. In the morning session (10:00-13:00) we study the theory section of the syllabus. In the afternoon session (14:00-17:00) we complete the teaching practice syllabus. The course has a maximum of 6 participants per group. As a guide, it would normally take 2.5 to 5 hours to cover each of the 4 areas on an individual basis, so the entire course can be covered in 10 to 20 hours of training. AVAILABILITY: 10:00-21:00 Monday to Friday, 10:00-17:00 Saturday, in London and via Skype. Do you receive a certificate upon completion? Yes. When you complete the course you will receive the Teach Pronunciation! certificate. If you do parts of the course, your certificate will reflect this.  ‘The Sound of English’ – Pronunciation Studio’s student course book. ‘Advanced Pronunciation’ – our theory book. ‘Stress & Intonation’ – our intonation theory and practice book. ‘Teach Pronunciation!’ – our teaching guide. These are provided in the first class as hard copies if you take the course in London or as pdfs if you take the course via Skype. Can I take the individual course intensively? Yes. If you would like to cover the course individually over the space of a few days, you can do so with up to 5 hours of individual training per day. Please contact us to check we have availability for your dates. In central London at Pronunciation Studio – 37 Gray’s Inn Rd, WC1X 8PQ. See our contact page for more information. Skype classes take place online, you just need a good internet connection. Do I need to have any experience teaching pronunciation? No. The course is designed for teachers who have some experience of teaching, but specific experience in teaching pronunciation is not required. If you have taught pronunciation before – great, you’ll have plenty to contribute in the practice sessions. Can you provide the course in a school? Yes. We can train a whole team or an individual in how to deliver pronunciation courses both in the UK and abroad. If you would like us to visit your school to provide the training, please contact us with your requirements in terms of dates and number of participants so that we can provide you with a quote. Do you offer accommodation for visitors? We don’t provide accommodation. If you are visiting to take a course, we recommend London University Rooms – which rents out student accommodation at affordable prices. You can cancel the group course booking any time up to 5 days before the course is due to begin for a full refund minus £15 processing fee. Cancellations within 5 days of course start date are not refundable. Individual training can be cancelled or changed with a minimum of 24 hours’ notice.